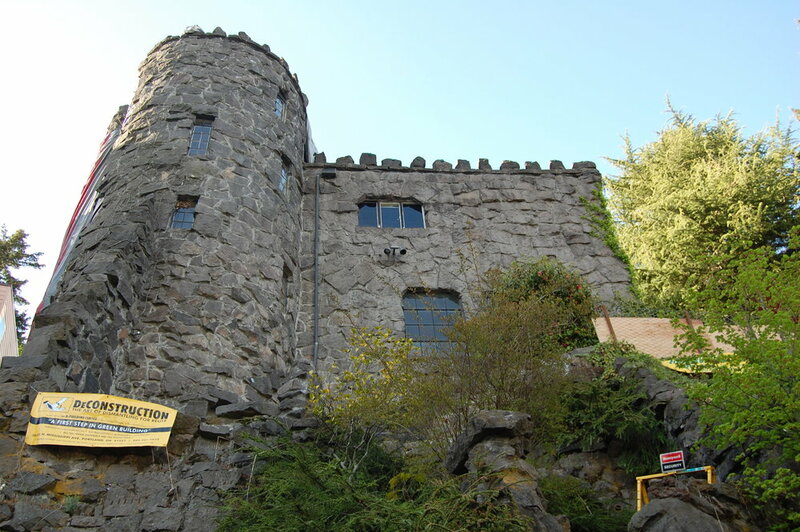 If you’ve been following the news, you know that Portland’s City Council recently adopted an ordinance mandating that in lieu of demolition, home structures built prior to 1917 be fully deconstructed instead. Prior to the ordinance, roughly 30 homes in Portland were deconstructed annually with 300 being demolished. With the ordinance, it is estimated that as many as 100 homes will be deconstructed each year, diverting up to 2,400 tons of materials from the landfill. 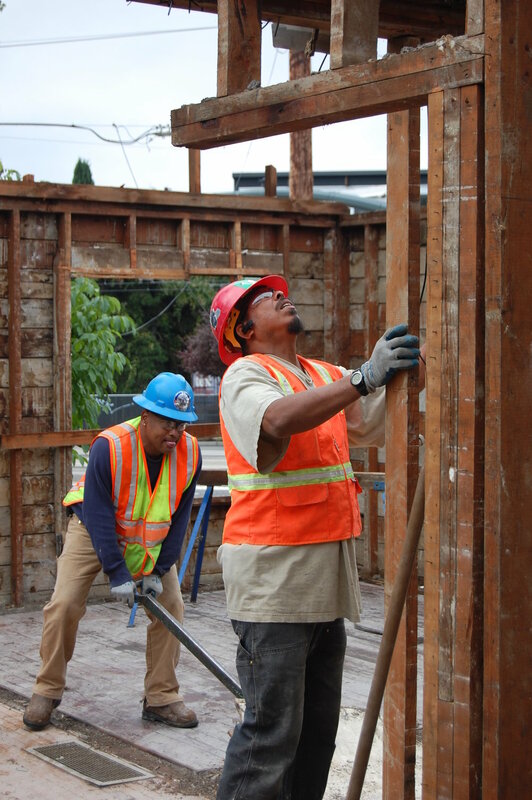 To ensure that the skilled workers are available to take down all of these old homes, the City of Portland’s Bureau of Planning and Sustainability held a training in March, led by the renowned deconstructionist Dave Bennick of Bellingham, WA. Fifteen trainees participated over 12 days, taking down three homes. All of which is enough to get us excited at the ReBuilding Center. But what was really cool was the class of trainees itself: women, people of color, the formerly incarcerated. Every single one of the trainees came from a class of people who are not traditionally well-represented in the trades. And as a sustainability organization, that was amazing because development that is truly sustainable must not only “meet the needs of the present without compromising the ability of future generations to meet their own needs,” but also needs to work for everyone in the community. Let’s meet some of the trainees! Reducing waste. Reusing materials. Building a more sustainable Portland, for everyone. And having fun while they’re at it. Older PostLearn How to Cob & Build Community April 8th & 9th!